Yamaha Dirt Bikes - 7 Things You Need To Know! Yamaha Dirt Bikes – 7 Things You Need To Know! When shopping for cheap dirt bikes for sale, you’ll want to shop between brands to see how they compare to each other. As such, you’ll come across models from all the top brands like Kawasaki dirt bikes and Yamaha dirt bikes. Yamaha in particular has a reputation for making durable bikes. Before you buy one, here are seven things you need to know. 1. 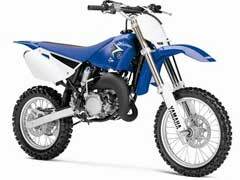 Yamaha dirt bikes come in many models, which are designed for different purposes. This means knowing the main purpose for buying the bike will help you choose the right model as they have some designed for racing and others for off-road purposes. 2. Additionally, knowing your skill set is extremely important in choosing the correct Yamaha dirt bikes. Their TT-R50E is a perfect beginner’s model as it has a push button start and three-speed automatic transmission making this the ideal bike to learn to ride. As you gain experience, you can progress to other models. 3. Yamaha dirt bikes add more features to their advanced models. In their cheaper bikes designed for beginners, you will notice they come equipped with simple features like an automatic transmission whereas their more advanced models like the TT-R125LE is designed with more flexibility for riders like an adjustable suspension. 4. Yamaha also makes a high end model called the WR450F. This bike comes with sharp handling, a powerful five valve titanium engine and new fuel ejection. It is designed to be powerful and durable making this the ideal ride for experienced riders. 5. You can buy extended service on all Yamaha dirt bikes. This will give you peace of mind in that it can save you money on costly repairs while enjoying such benefits as no deductibles, transferrable service should you ever trade it in and TRIP benefits. This means if your bike breaks down on a trip it will cover incidentals like food and lodging. 6. To try a Yamaha bike out for size, you can visit a local dealership. To locate one near you, you can stop by their website and search for one under their purchase tools tab. 7. Along with bikes, riders can find many dirt bike accessories like parts and dirt bike helmets on their website. On the website you can also find your owner’s manual for your bike and buy shop and maintenance items.